Superstar Rajnikanth demands marina for Kalaignar! Sri Ramachandra Murthy August 8, 2018 10:00 IST Superstar Rajnikanth demands marina for Kalaignar! The ruling AIADMK party had refused to allow Karunanidhi's memorial at Marina, citing high court cases, and had allocated a 2 acre land near Gandhi Mandapam in Chennai. 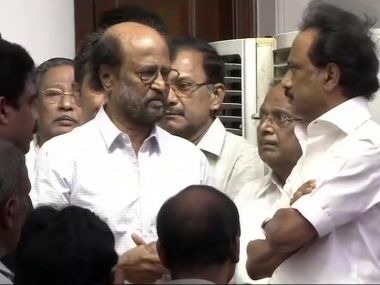 Earlier, by today noon itself, MK Stalin and senior members of DMK had met the Tamilnadu chief minister Edappadi Palanisamy to request government honors for the ex chief minister of Tamilnadu Karunanidhi and also to have his memorial at Marina. 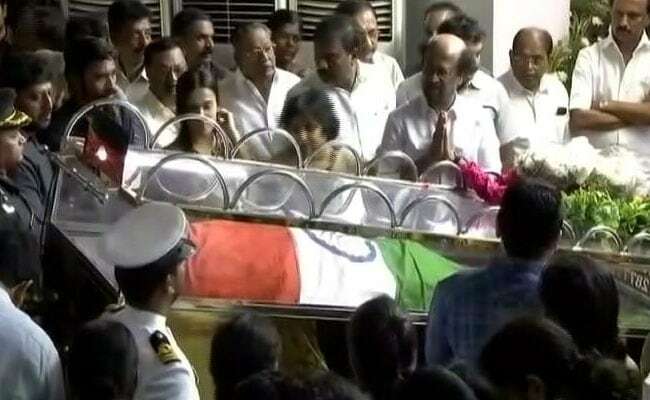 However post the denial by AIADMK, there was a social media outrage and violence at places in Tamilnadu and following these developments, Superstar Rajinikanth had took it to his Twitter account expressing that he sincerely requests the Tamilnadu government to take all efforts to offer a place for Karunanidhi's memorial near Anna memorial at Marina, stating that it is the rightful respect we give for the great man. It must be noted that despite the case, former chief minister Jayalalitha had her memorial to be installed at Marina, with an exception by the High court.